21 Sep – Group photo of the graduates. 20 Aug – Course info posted. 2 Sept – Course registration closes. 3 Sept – Course info posted. 7 Sept – Course starts. Course Duration: 10 days. Compulsory to attend the full 10-day course as per the IAAF requirements. Application Closing Date: 6pm on Wednesday, 2 September 2015 (All relevant certificates, where applicable, must be submitted by 6pm on Wednesday, 2 September 2015). Compulsory to attend all classes punctually and throughout the duration of the course (Compulsory to attend the full 10-day course as per the IAAF requirements). Compulsory to attend all classes punctually and throughout the duration of the course. 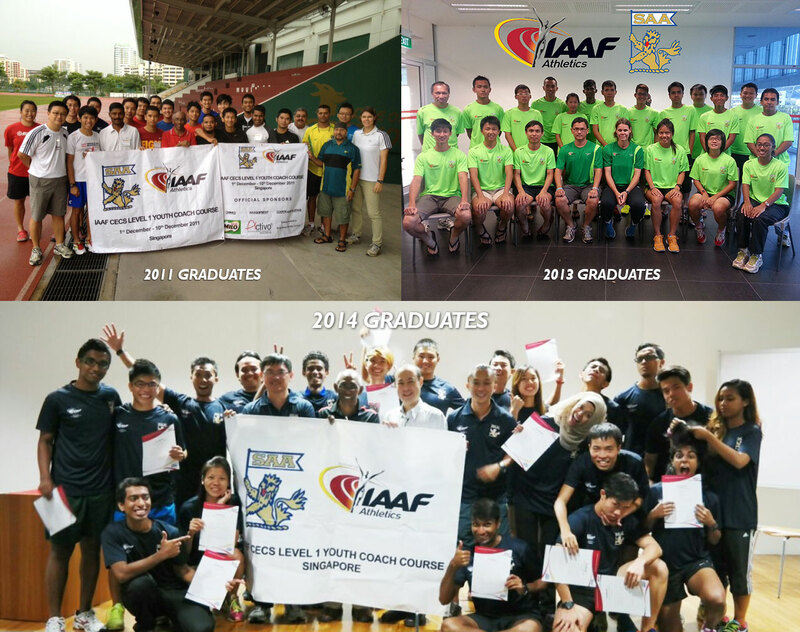 b)	Group B – Current track & field coaches and PE teachers, non track & field coaches, public etc.